January 12, 2018 By Eugene Nielsen & filed under All Articles, Edged Weapons, Gear. 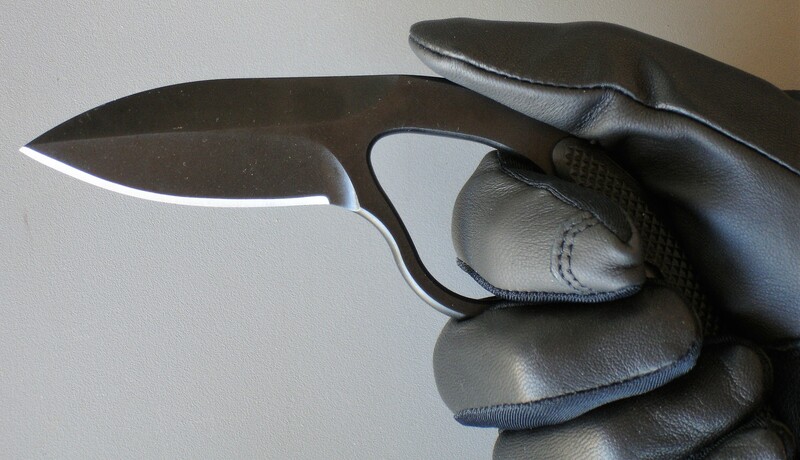 NCO LowVZ is a new fixed-blade knife from ColonelBlades designed for close-quarters defense. It has all the design features of the original Colonel LowVz but at an even more affordable price. ColonelBlades™ has come out with a new version of its popular LowVZ™ fixed-blade knife. Distributed by Bravo Company USA, the new ColonelBlades NCO™ LowVZ has all the great design features and quality that make the Colonel LowVZ such a standout, but at a more budget-friendly price. I wrote a full review of the Colonel LowVZ (formerly called the LowVZ PRO) in the April 2017 issue of S.W.A.T. It’s an outstanding knife with a unique combination of features that make it an ideal defensive fixed-blade knife for everyday carry (EDC). ColonelBlades knives were designed by combative instructors Al and Nico Salvitti, with input from Northern Red’s U.S. Army Special Forces cadre. They wanted a knife that was simple and effective to use without requiring extensive training and that facilitated knife-to-gun transitions. The patented ColonelBlades knife was the result. ColonelBlades is fittingly named after Colonel Rex Applegate, regarded as the father of American combatives, and who espoused straightforward techniques. ColonelBlades knives are designed for shooters and leverage existing skills. There are no drill forms, grips, or stances to learn and remember. ColonelBlades knives are designed to utilize shooters’ existing skills, so they carry, conceal, and draw like a handgun. Striking with the blade is the same as throwing a punch. There aren’t any complex drill forms to remember, nor any new stances or grips to learn. Simple, instinctive and effective. A ColonelBlades knife gives you increased strike range, force, and frequency, while putting the point at the end of every strike, increasing tip to target acquisition. The grip angle of the knife stabilizes your wrist in a forward grip, aligning your wrist and arm into the strongest position. The design also prevents the knife hand from slipping onto the blade. And yes, the knife is equally effective in a reverse grip. 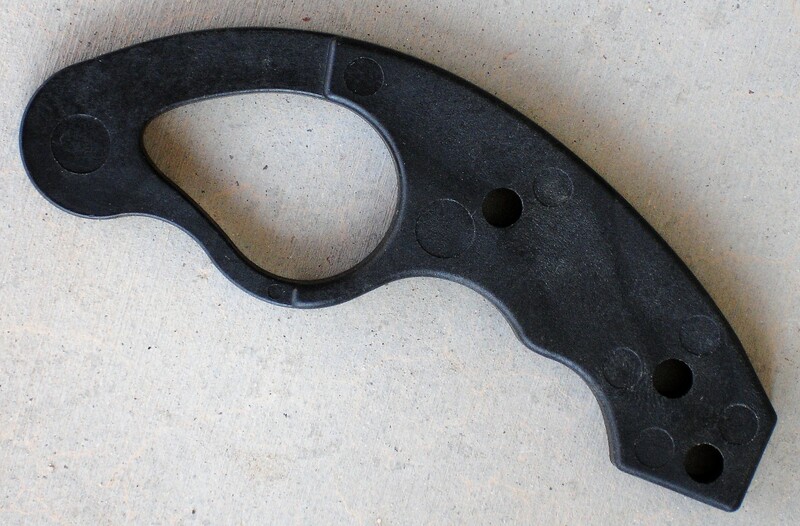 ColonelBlades knives feature a retention hole positioned somewhat similar to a trigger guard on a pistol. The retention hole, coupled with the textured grip and contoured handle with jimping in all the right places, provides an exceptionally secure grip. The design also facilitates knife-to-gun transitions and allows use of the knife hand while retaining control of the knife. The ColonelBlades NCO LowVZ features a single-edged sabre-ground 2.75-inch spear-point blade with swedge made of AUS-8 stainless steel. AUS-8 is a high-grade Japanese-made stainless steel that offers good all-around performance and takes a very keen edge. Typical hardness is 57-59 RC. The blade on the NCO LowVZ is coated in a durable black ceramic finish, with a hardness rating of 4H-5H, for additional corrosion resistance as well as surface lubricity. As with all ColonelBlades knives, the NCO LowVZ is of full tang design. It features strong, textured black injection-molded Type 6/6 glass-filled nylon scales that are attached to the tang by blackened stainless steel Torx® screws. Injection-molded sheath with adjustable tension comes standard with NCO LowVZ. It has a tuckable, removable ambidextrous multi-position injection-molded belt clip. The NCO LowVZ comes standard with an injection-molded sheath. The sheath features a multi grommet/slot pattern that provides for a variety of attachment methods and utilizes a friction fit to securely hold the knife. 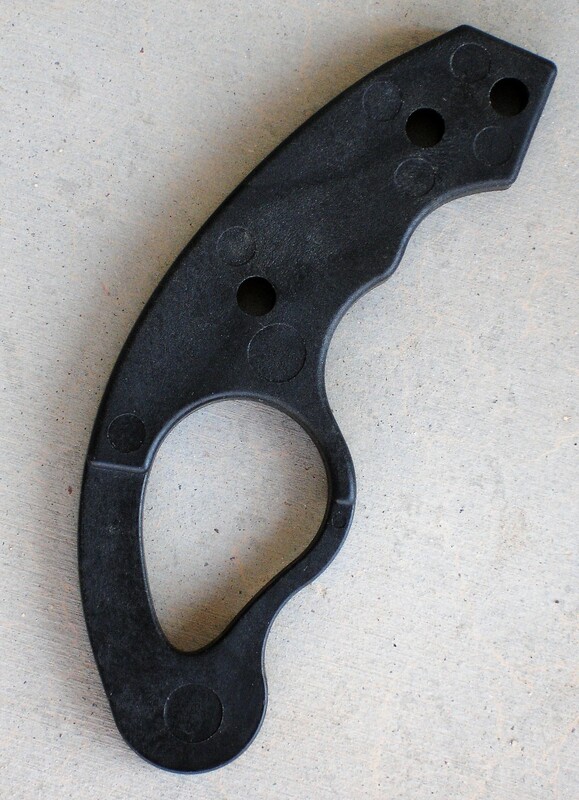 The sheath is adjustable for tension. A G-Code Kydex® sheath is available as an upgrade, but is included with all knives purchased directly from ColonelBlades or Bravo Company. The sheath comes equipped with a patent-pending multi-positional ambidextrous belt clip for IWB/AIWB carry that fits up to a 1.75-inch belt. The clip is made of a durable polymer and locks securely on the belt. It incorporates a negative-angle design at the neck that forces the sheath to ride closer and tighter to the body for optimal concealment. The clip rotates to allow adjustment of cant, and can be easily removed for pocket carry or to change the attachment method. NCO LowVZ comes with injection-molded trainer with 0.5-inch “blade” that allows you to build muscle memory by following all the way through the strike. The NCO LowVZ comes with a black injection-molded Type 6/6 glass-filled nylon trainer. The ColonelTrainer™ features a blunt 0.5-inch “blade.” The shorter blade is designed to allow you to practice full strikes and enhance muscle memory without stopping at the tip. It’s useful for more than just training, as the design of the ColonelTrainer also lets it be effectively employed as a less-lethal control tool. ColonelBlades also offers an aluminum trainer with reversible clip as an optional accessory. I’m a firm believer in always carrying a dedicated defensive knife. In a close-quarters lethal-force encounter, you may not have the time or ability to deploy your firearm. I also believe that combatives need to be kept simple and instinctive. These are the same criteria for which ColonelBlades knives are designed. 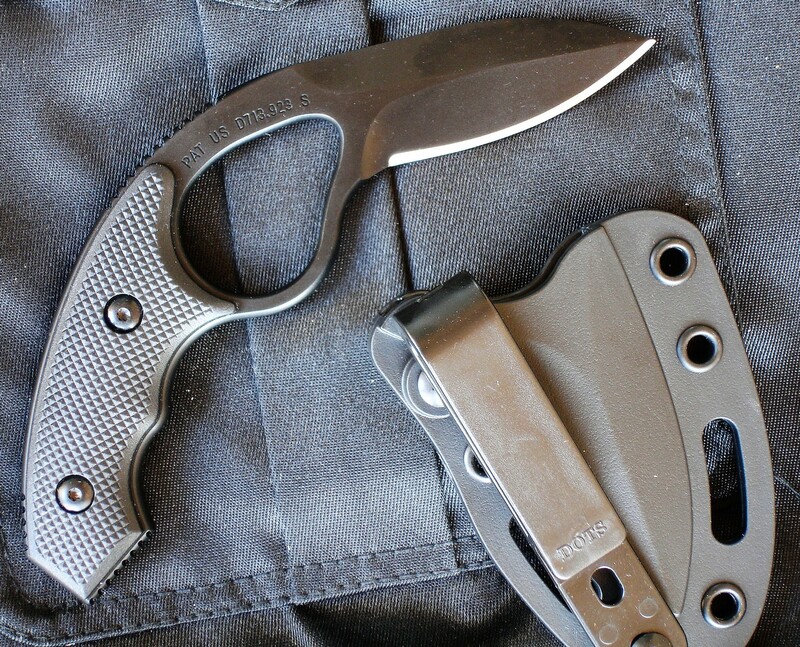 The ColonelBlades NCO LowVZ is an outstanding defensive fixed-blade knife for EDC. Its suggested retail price is $99.99.